According to the Chinese Zodiac Calendar 2015, The Year of the Goat, is going to be an excellent year for all of the Chinese zodiac signs. The Goat is the eighth sign in Chinese astrology and the number “8” is considered to be a very lucky number. It symbolizes wisdom, fortune and prosperity. 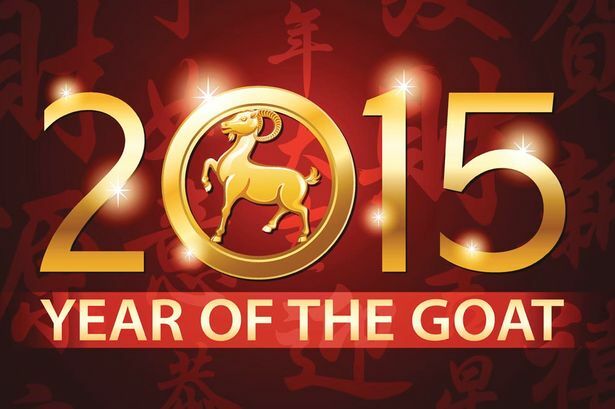 This year will be especially lucky and rewarding for people who are born in the Year of the Goat! So make the most of it predicts the Chinese Horoscope 2015! Irrespective of whether you believe in astrology, we always encourage our students to make the most of themselves, so while celebrating Chinese New Year we thought we’d highlight work and study opportunities in China…. If you can get past the noise, the lack of organised queues, the complex social etiquette and the often mindboggling numbers, China offers a fascinating and fun experience for someone who is culturally open minded. Generally visitors find it is relatively safe with a lower crime rate than comparable Western cities. The main cities, Beijing and Shanghai, are used to foreign visitors and workers but in second and third tier cities you may be more of a novelty and find yourself forging your own path more. Working or studying in China could be a smart career move for someone wanting to work in international industry or commerce. You could build a network of contacts and cultural awareness of one of the fastest growing economies in the world. Internships or Teaching English are a great way to experience China because they are accessible to western visitors. According to Hutong School, a language school and internship provider based in Beijing, other ways of finding work in China such as via recruitment websites are much less likely to reap reward. Unless you have personal, family or business connections in China, the internship or English teaching are the most likely routes into working in China. It is normal to find an internship through an agency with support offered ranging from finding the placement only, to including airport meet and greet, orientation, accommodation, emergency support if necessary, language training and even a full activity and cultural programme with other interns. So for all you more adventurous students, let the Chinese New Year celebrations be the inspiration you need to start exploring the opportunities to experience China. UWS students can find some useful links on our Moodle site. If you are not sure if it’s for you why not try our “Is Going Global Right for You” quiz on click on “Global opportunities to broaden your horizons” on Moodle – you might surprise yourself! Posted in Global Horizons and tagged China, Chinese New Year, global opportunities. Bookmark the permalink. An academic award for study at two of the world’s finest universities – Harvard and MIT. It can be used to fund a wide variety of programmes at MIT and across all the graduate schools within Harvard. It can also fund a Special Studentship for those wanting a general programme of non-degree study. Applications are now open for academic year 2015-16, with a deadline of 29th October 2014. Frank Knox Fellowships were established in 1945 to enable students from the UK, along with those from Australia, Canada and New Zealand, to undertake graduate study at Harvard University. A Knox Fellowship pays full Harvard tuition and mandatory health insurance fees and provides a stipend sufficient to cover the living expenses of a single Fellow for a 10-month academic year. Knox Fellowship funding is guaranteed for up to two years for students in degree programmes requiring more than one year of study. For more information and details on how to apply, please click here. Posted in Global Horizons and tagged global opportunities, scholarships, study abroad. Bookmark the permalink.